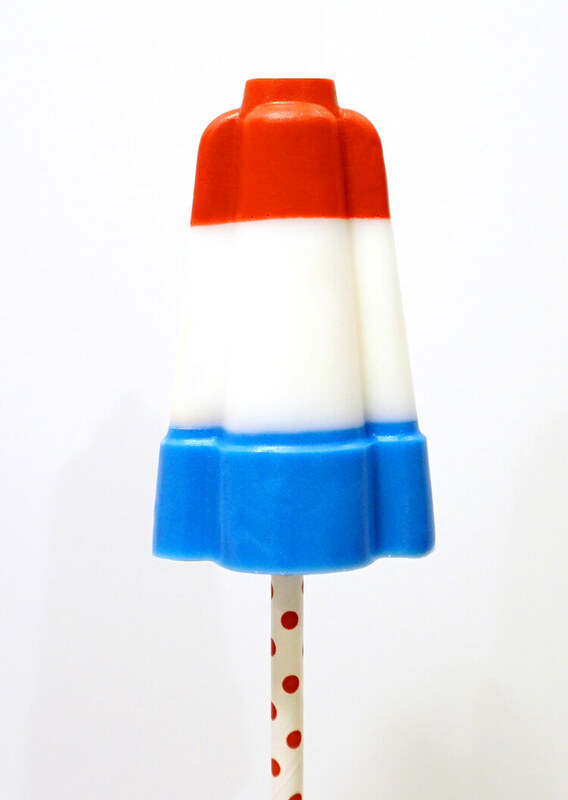 These fun red, white, and blue Rocket Pop Soaps look just like the classic summer Bomb Pop treat! Whip up a batch in just 15 minutes to wow your 4th of July guests! 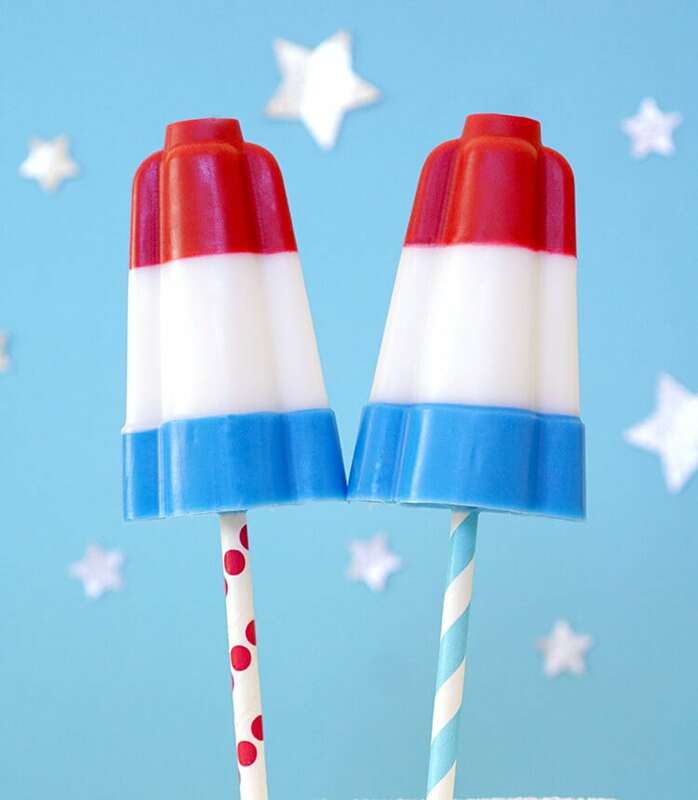 Makes a great patriotic treat or homemade party favor! 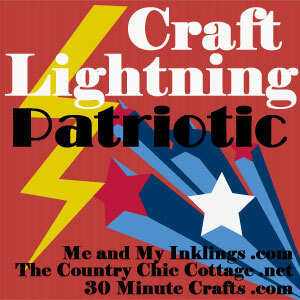 Patriotic crafts and recipes are some of my most favorite, so when I heard that this round of Craft Lightning was all about patriotic crafts, I was in! These adorable Rocket Pop soaps have been on my to-make list for a really long time now, so I was glad to have a reason to cross it off the list! 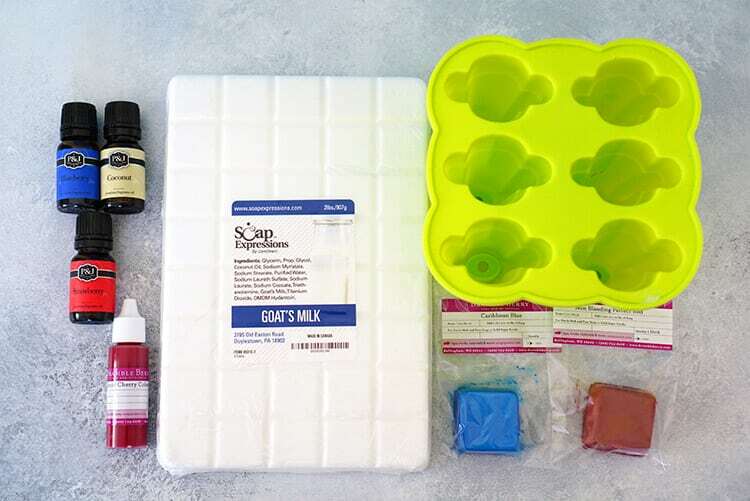 These soaps are created in three different layers, and each layer takes only FIVE minutes of work (plus a bit of time to set up), so they’re super easy peasy! 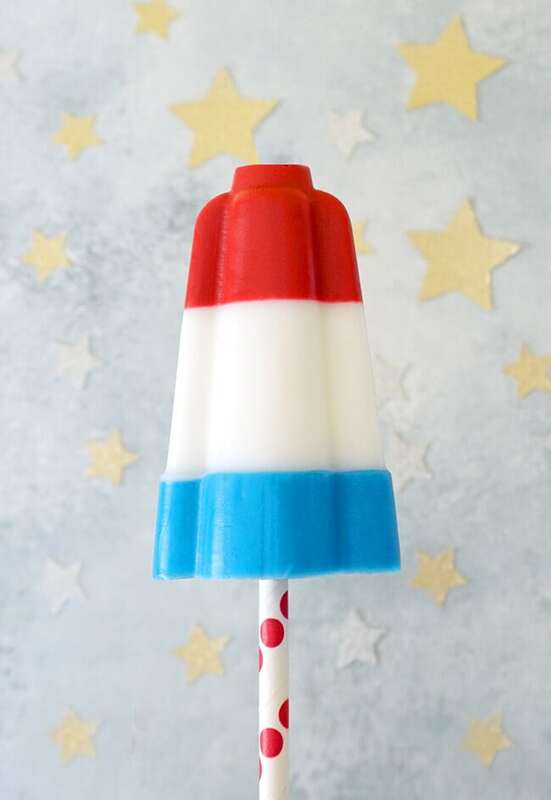 I grew up calling these fun summer treats “Rocket Pops,” but a quick survey of family and friends told me that not everyone calls them that! 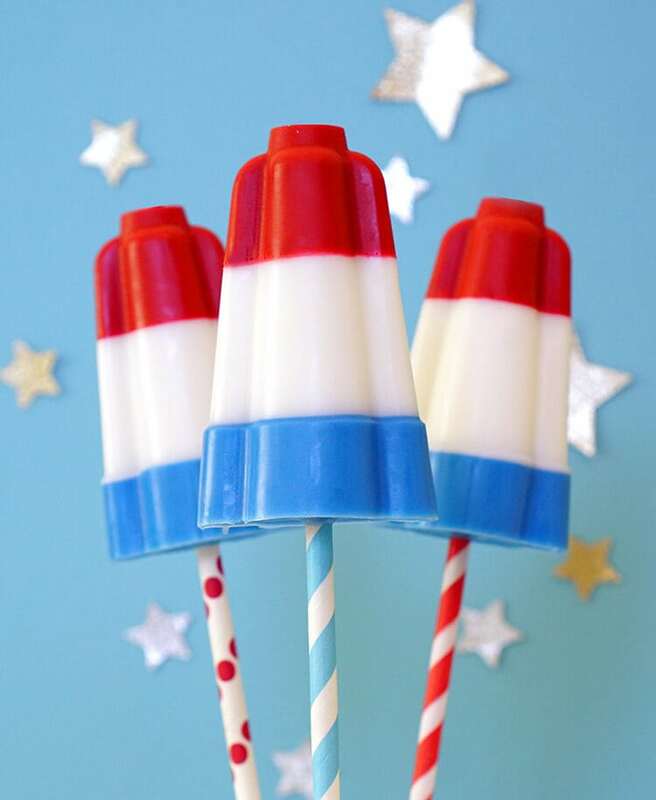 As it turns out, there are actually three different names for these guys – Rocket Pops, Bomb Pops, and Firecracker Pops (depending on the manufacturer). Whatever you want to call them, they’re super fun and the perfect shape for a cute novelty soap! When using a white soap base, it can be difficult to achieve a true red color, so while I usually recommend liquid soap colorant, I used both solid and liquid colorants in this batch. For the red, I used a combination of Liquid Cherry Colorant and a Non-Bleeding Perfect Red Color Block. The blue is achieved with a really pretty Shimmer Carribean Blue Color Block that gives the blue layer a bit of sparkle. Chop 2 lbs. 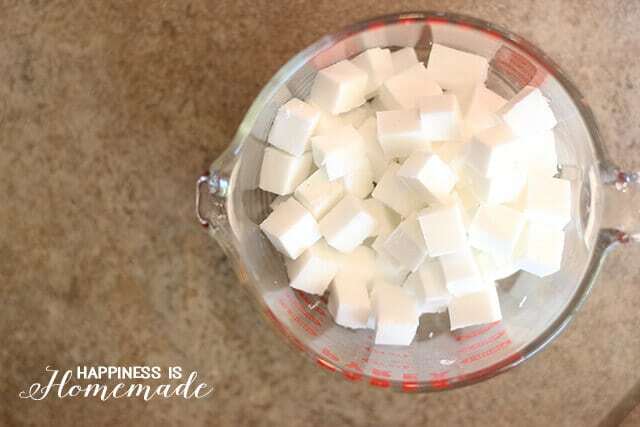 of soap base into small cubes and place 1/4 of the cubes inside a Pyrex measuring cup. Set the remaining cubes aside for later. You will use 1/4 of the cubes for the red layer, 1/2 of the cubes for the white layer, and the remaining 1/4 of the cubes for the blue layer. Microwave in 30-second increments, stirring well after each, until the soap is completely melted. 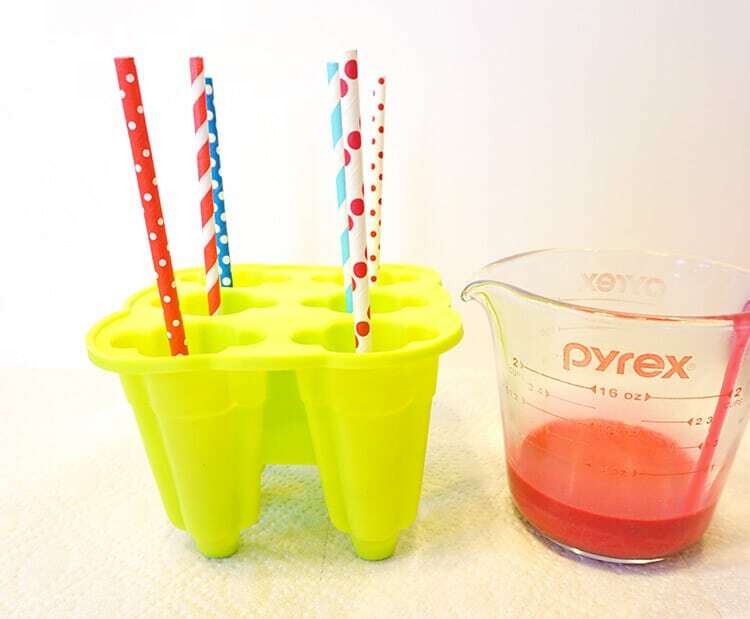 Stir in 10 drops of Liquid Cherry Colorant and 1/4 cube of Non-Bleeding Perfect Red Color Cube. Add fragrance oil if desired (we used strawberry), and mix well. Carefully pour the red soap mixture into the bottom portion of the mold. 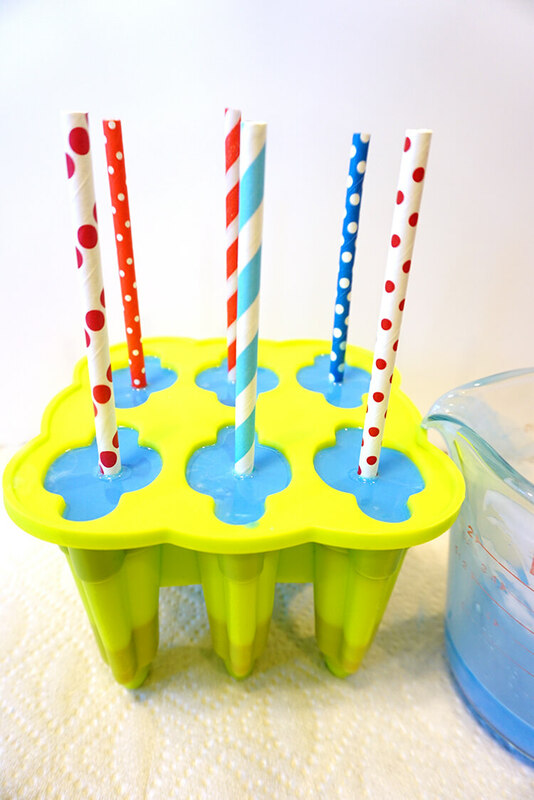 Add a paper straw to the popsicle-stick-holder in the center of the mold (this one is circular in shape, so it fits a paper straw perfectly!). Allow the soap to firm for about 20-30 minutes (depending on temperature and humidity). Repeat the process for the white and blue soap layers, allowing the soap to firm before pouring a new layer. We added coconut fragrance oil to our white layer, and we used blueberry fragrance oil + 1/4 cube Shimmer Caribbean Blue Color Cube for the blue layer. Once the soaps are completely hardened (about 60-90 minutes), pop ’em out of the molds! See, easy peasy! 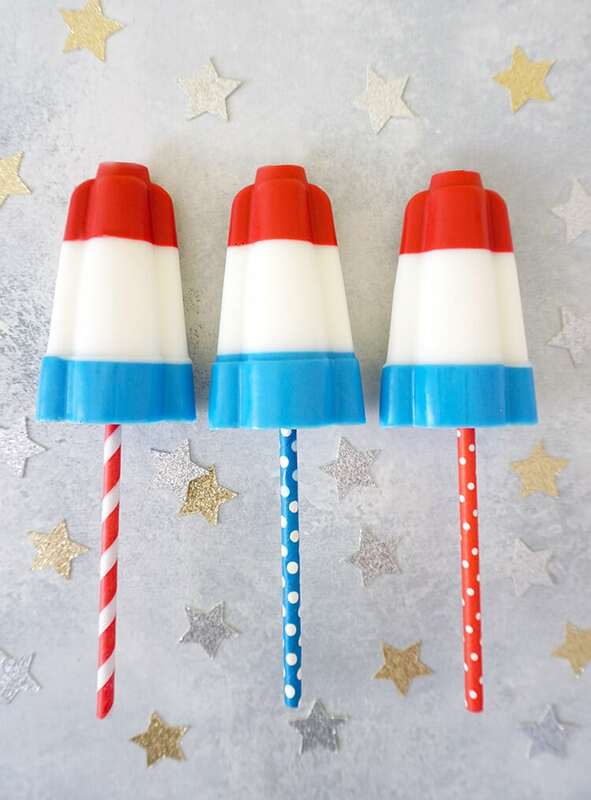 Let these fun Rocket Pop soaps be the star of your 4th of July or Memorial Day celebration, and send your guests home with the coolest DIY party favor ever! « The Easiest Father’s Day Gift Ever! I LOVE these so much. Thanks for participating in Craft Lightning! 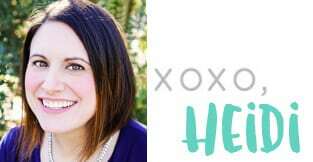 These are so fun Heidi! Thanks for joining! 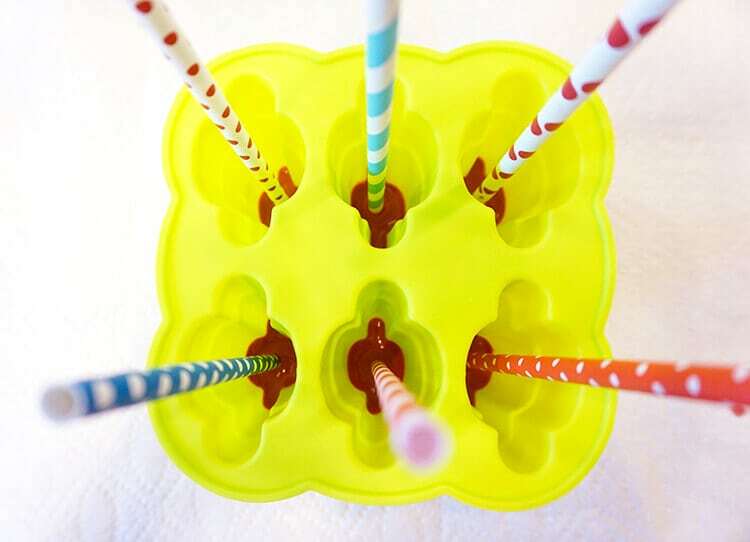 Love these for summer birthday party favors! !